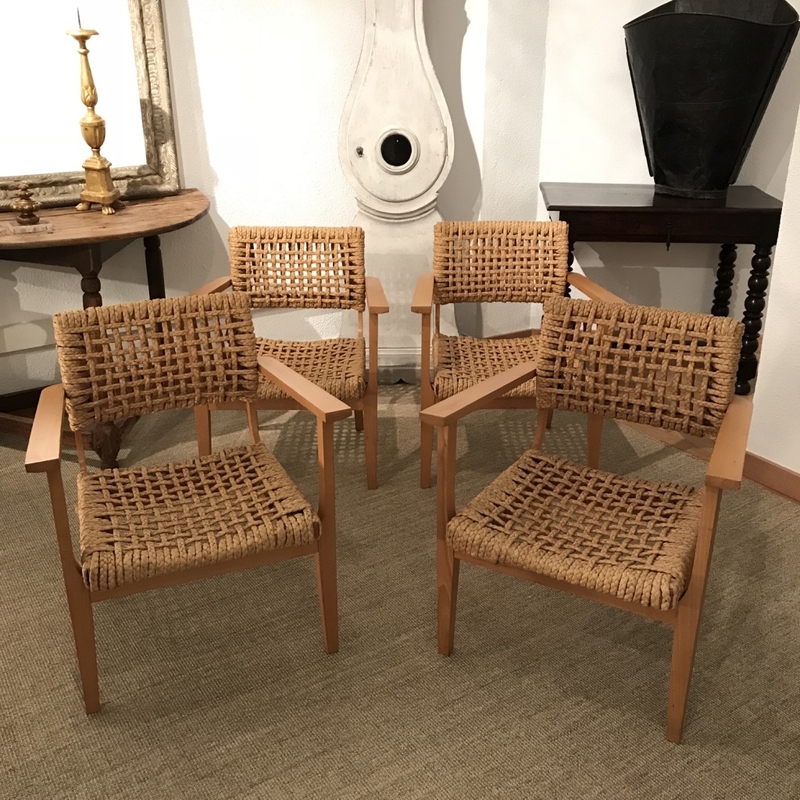 Rare set of 4 armchairs designed by Adrien Audoux and Frida Minet for Vibo in the 50s. 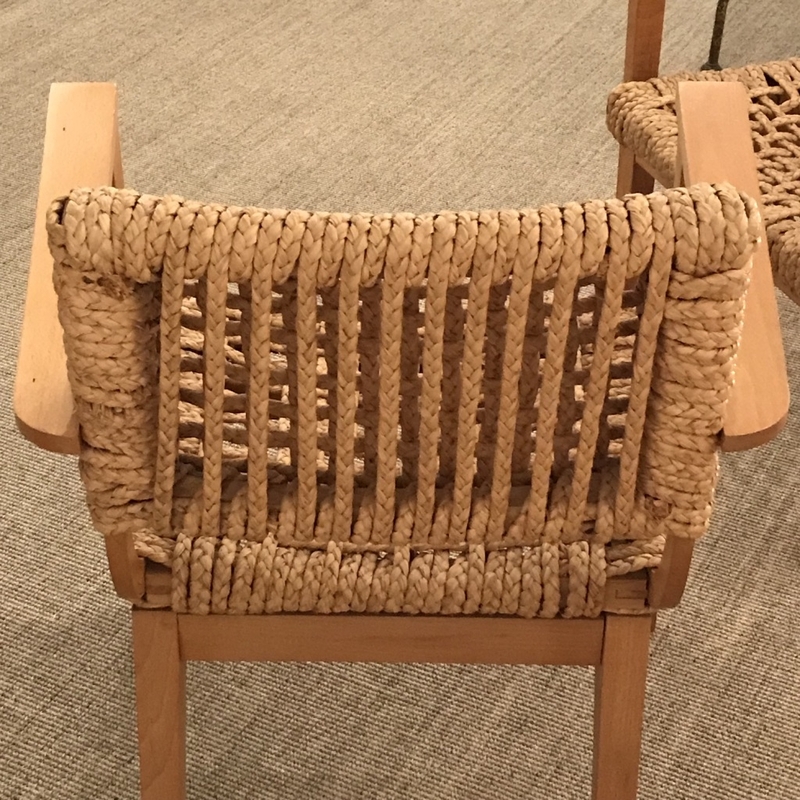 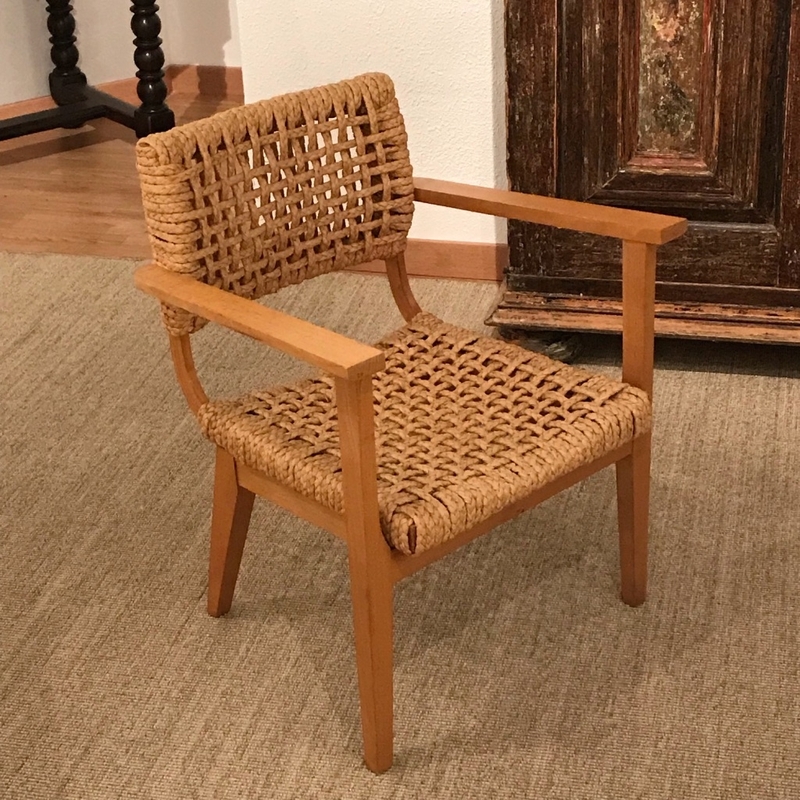 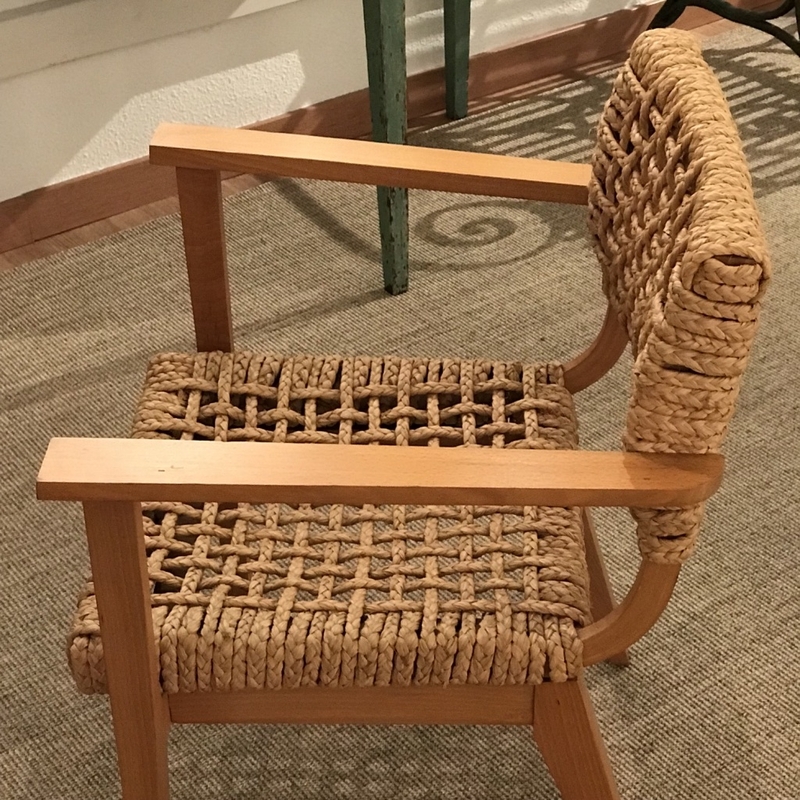 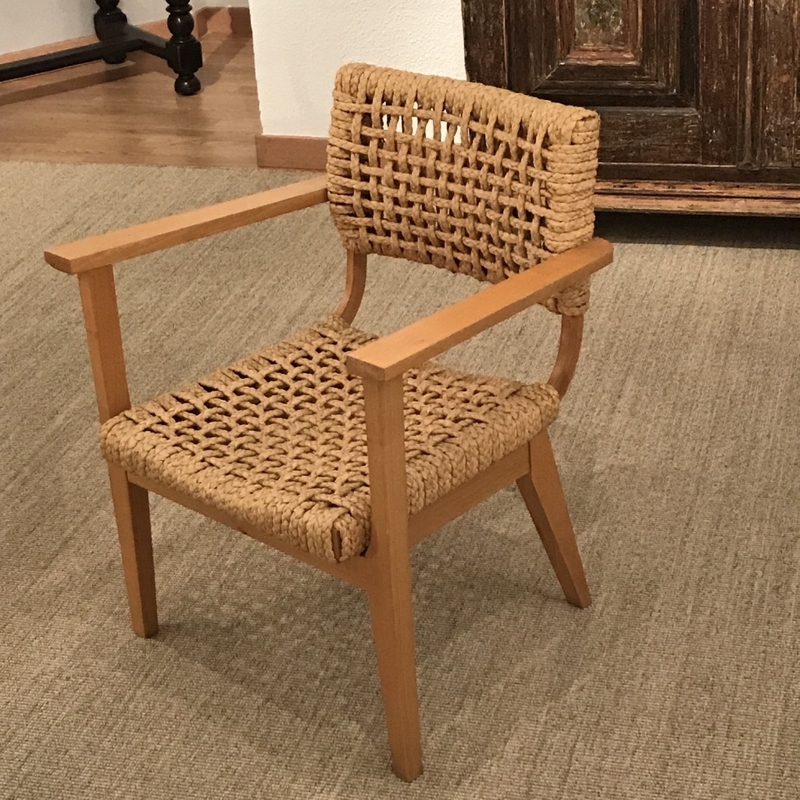 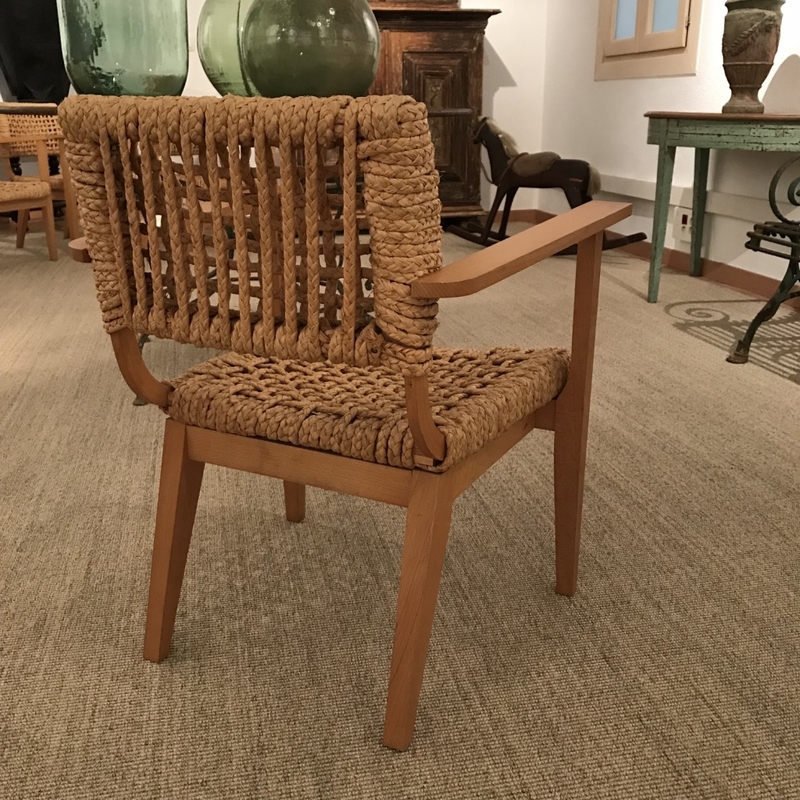 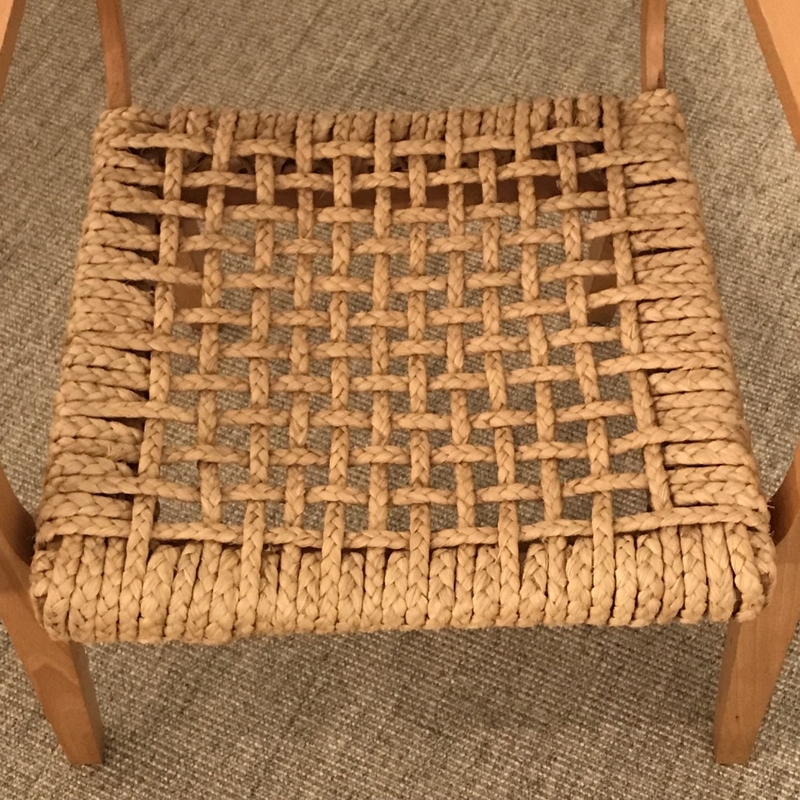 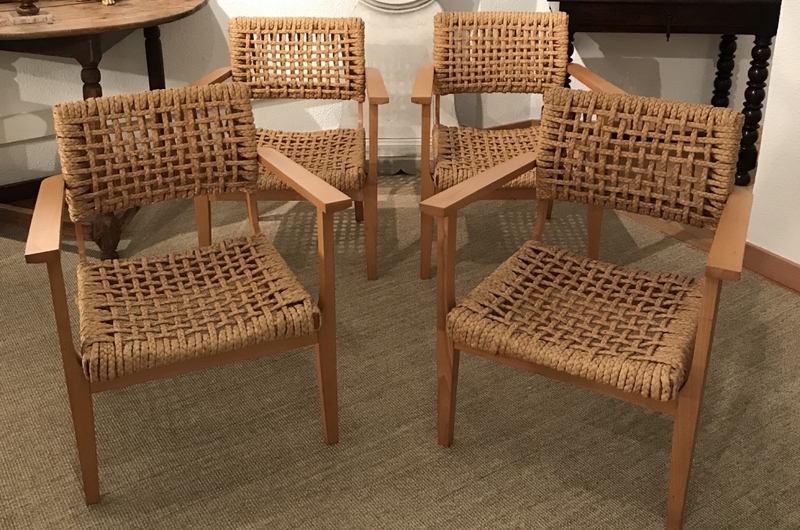 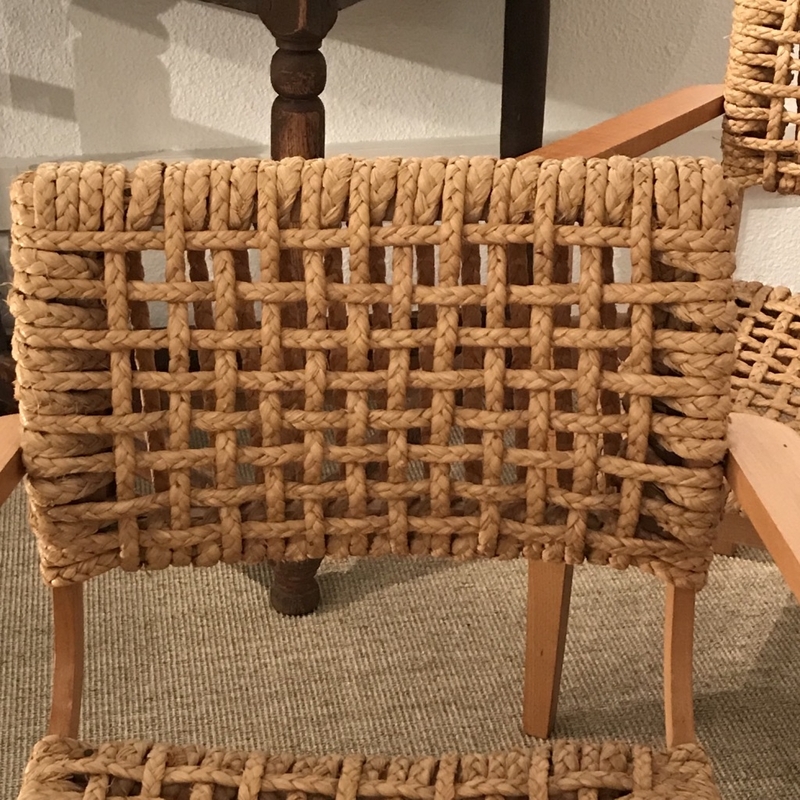 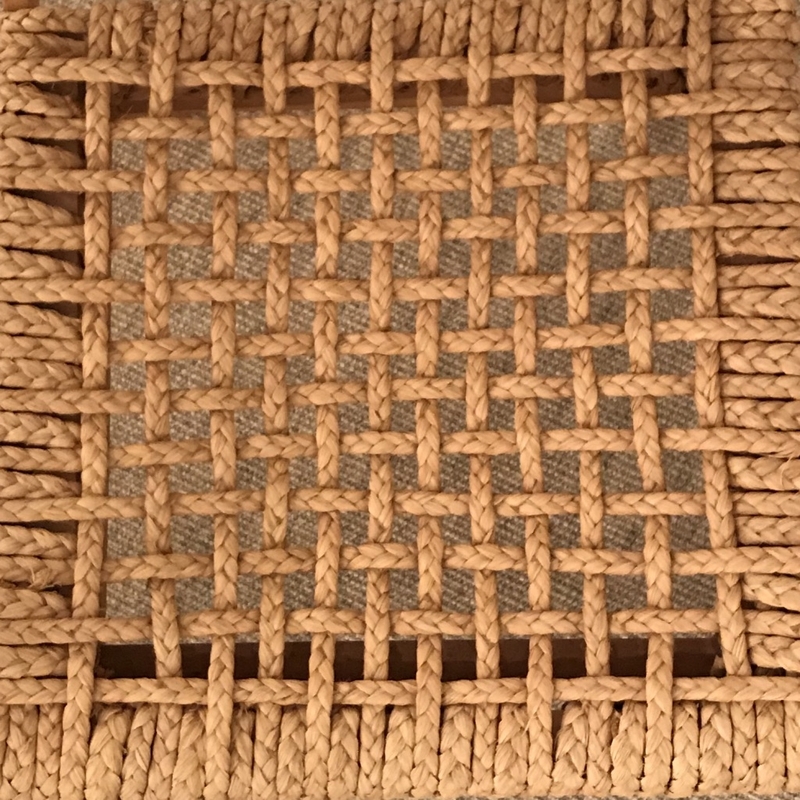 The structure and the armrests are in beech, the seats and the backrests in braided hemp rope. 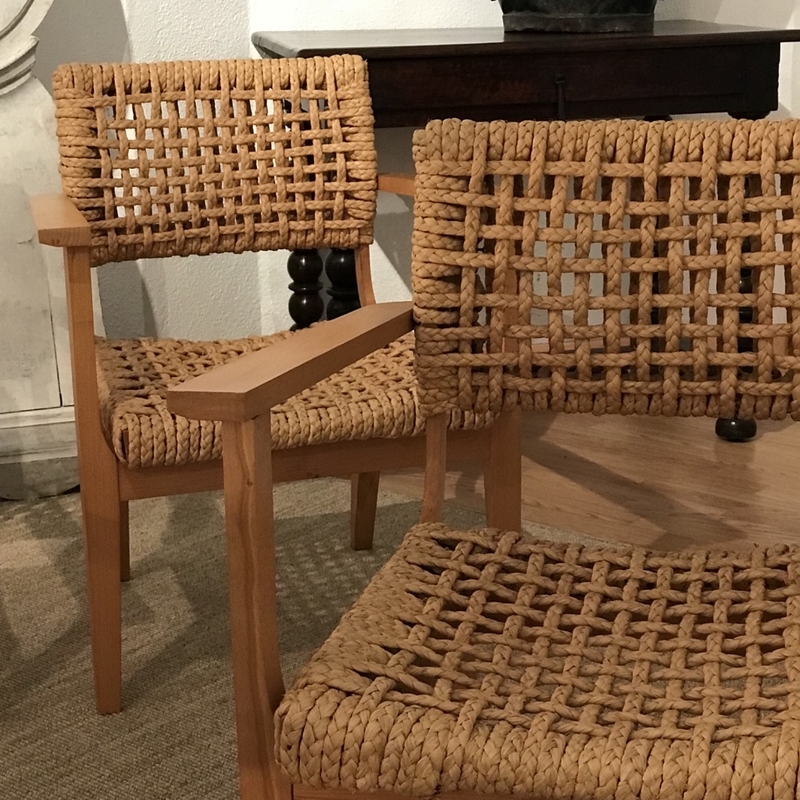 The armchairs are in excellent vintage condition.